Puls, is a prominent remedy for first delayed menses in girls who are fleshy but anemic. Puls, patient is mild, gentle, of yielding disposition, timid, weeps easily. She likes consolation. All her symptoms are relieved by consolation. She is highly emotional, fears to be alone. 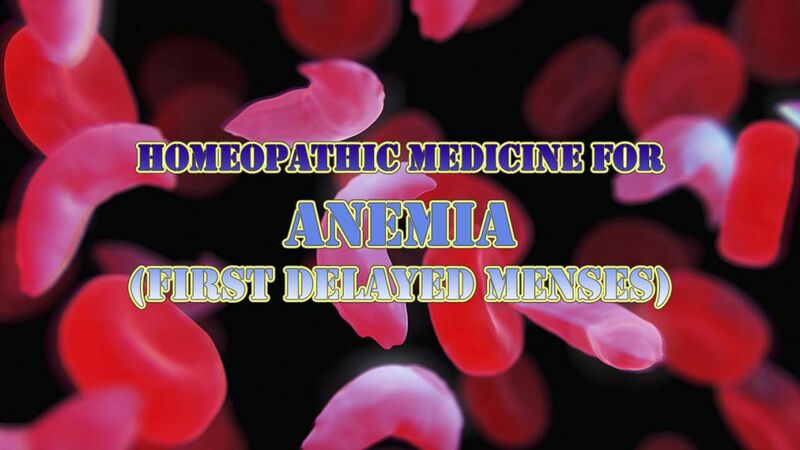 First delayed menses or insufficient or retarded menses in feeble girls. Sepia patient is slender with yellow face, yellow saddle across the nose, with male type pelvis in women. She is very irritable and easily offended. Girls who need this remedy are sad and tearful, weeps much like Puls. but aggravated by consolation like to be alone. All troubles are aggravated at forenoon between 10 to 11 a.m. This is another useful remedy for delayed first menses. It corresponds to women who are pale, weak, delicate and chlorotic, yet have a fiery red face. This remedy is indicated in anemia of fat, flabby girls who catch cold very easily, who are weak and debilitated, easily fatigued and out of breath, slow in movements. It is best suited to the girls, especially stout, fat, fair and flabby, having habitual constipation, take cold very easily. Causticum patient is physically very much weak, emaciated and anemic. Peevish, irritable, fault finding, sympathetic to the suffering of others, have anxiety for others. Absence of menses at the age of puberty in nervous, hysterical, awkward or chilly patients. Very awkward, drops things while handling them. Jealous, fault finding, joyless and suspicious. Oedematous swelling in face and below lower eyelids.